Have you ever been traveling and arrived at a destination and immediately felt, “Wow. This feels like home.” Macon, Georgia delivered that ‘warm hug’ recognition to Ryan and I right of the bat. The Macon Film Festival is now cemented on our list of festivals we will always submit to, and always make a point of attending. I’ll start from the beginning – our short film RSVP was accepted into the Macon Film Festival which took place this past week ( July 21-24) and we knew we wanted to head down to Georgia to attend because we’ve been wanting to get a feel for the Atlanta area, which has increasingly become active with film and television projects over the past 5 years. The prospect of being able to create somewhere and also live a comfortable life with a reasonable cost of living, seems almost like a mythical dream come true. Not to mention that Ryan and I are both originally from Florida, so being in a more accessible spot to the south east, that also has one of the largest international airports is also a major plus in our eyes. We arrived a day early, and spent it in Atlanta’s Little Five Points Neighborhood. We were wooed pretty quickly. We had lunch at the Porter Beer Bar, and enjoyed a meal that was way more sophisticated, well prepared then one might expect from a place with “Beer Bar” in its title. We’re talking home-made curry infused pita with cauliflower falafel and the BEST garlic fries I’ve had in my life – Kimchi short rib philly cheesesteak, what!? Crazy. Delicious. We walked around the neighb and loved the diversity, creative spirit, and warm hospitality. There were theatres featuring Breckt, and an original musical called Da Kink in My Hair – In just a few hours we understood how Atlanta is quickly becoming a city deserving of all of the attention it has been receiving. We then made our way down to Macon, a 90 minute straight shot down from Atlanta. We opted to rent an AirBnB in historic Macon in order to get more of a feel of the place, and we were glad we did. Right off the bat “intown” Macon blew us away in the architecture department -street after street of gorgeous, unique antebellum homes and blocks of turn of the century brick commercial buildings. Basically a period film location scout’s dream come true. On the block of the house we were staying in, there was even an adorable “free little library” that had a selection of books and magazines people could read and return. HOW CUTE! 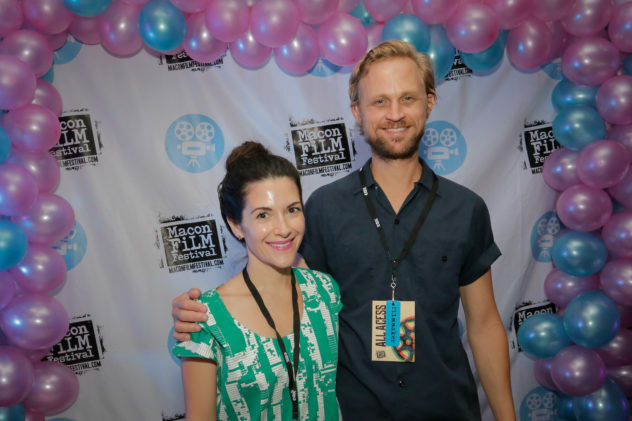 Even our AirBnB hosts, Nathan and Koryn, were huge fans of the Macon Film Festival! 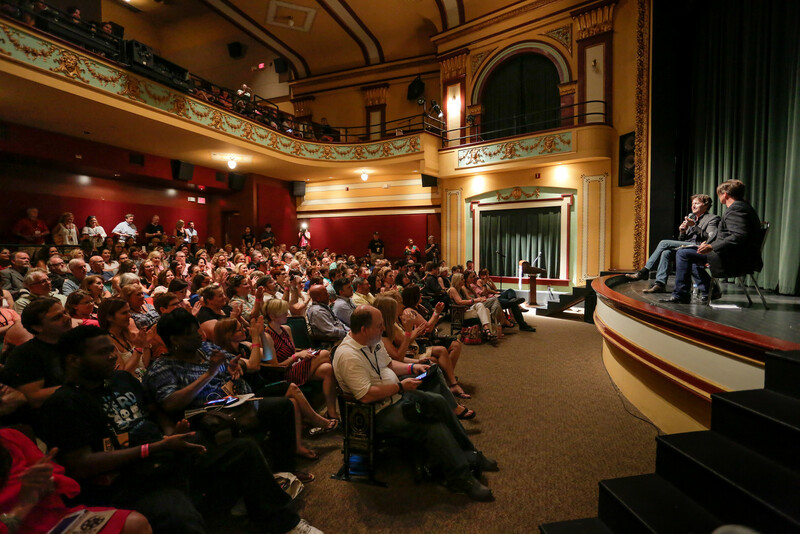 The next day, the festival officially began with a Short Film Master Class hosted by The Sundance Film Festival. Mike ___ the head short film programmer at The Sundance Film Festival, gave us all a behind the scenes glimpse at what stands out to them when choosing film film to screen at Sundance. He made it clear the the most important things to them were story and compelling performances – did it make you think? Did it make you feel? Flash and star power do not play a part in the decisionmaking process for short films. But what does play a big part in the process is length. He told us that the average film is 12 minutes long, and that if a film is 20 minutes, it really has to be so good it is able to beat out two films that are ten minutes long, so you are definitely increasing your competition when submitting a longer short film. Mike also interviewed James Ponsoldt, who directed The Spectacular Now and The End of The Tour. James shared insights he’d collected from his childhood in Athens, Georgia, as a student at Columbia University in a post-911 New York, and as a first time director navigating self-doubt and learning from his peers. Having a successful and talented director share that real, beneficial growth comes from the failures that ‘destroy’ us at the time, served as a valuable reminder for all of the aspiring filmmakers in the group. After the workshop, both Mike and James joined the attendees for a catered reception, and have the ability to speak with these respected and accomplished men one on one was an incredible opportunity. Major props to Sundance and the Macon Film festival for making it happen and providing such value to its filmmakers and community. The Macon Film Festival screened our short film RSVP twice, and both times I was moved by the diverse audience’s heartfelt feedback. 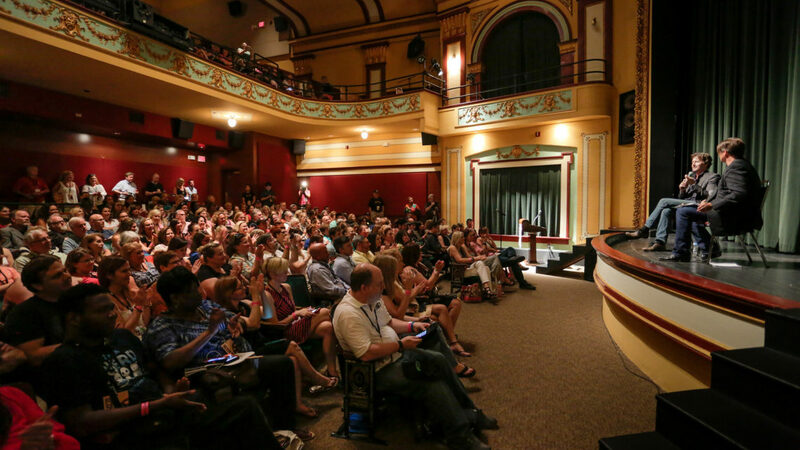 This was the first festival which we screened twice at, and I think getting all of those people to attend the screening was in large part due to the fantastic job that the Macon Film Festival’s PR staff did. 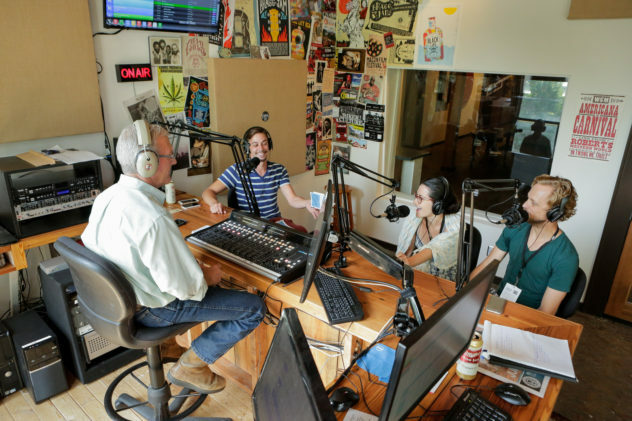 Headed up by Terrell Sandefur, MFF’s publicity team arranged interviews, and parties, and documentary photos that elevated the festival in the minds of the community so that every local person we ran into was excited about the festival and interested in our film. 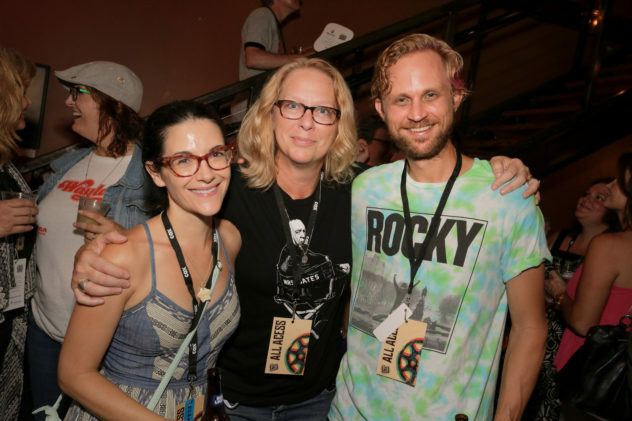 I will be honest though, the BEST part of that reception was meeting the festival’s photographer Maryann Bates. A long story made as short as possible: Maryann has a son named Ryan who looks almost identical to Beenest’s Ryan! Plus a whole avalanche of other uncanny connections and similarities revealed themselves! 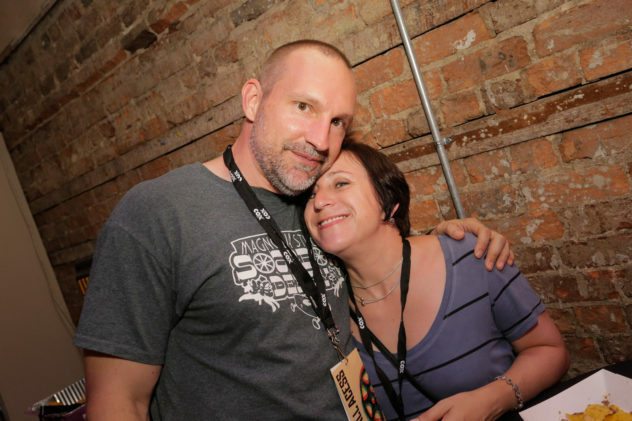 Maryann became a dear friend in only a matter of a few days, and if there was one thing that I could use to characterize the spirit of the Macon Film Festival, it would be that. That Macon has a remarkable way of making you feel like you are a long lost relative home for a reunion. 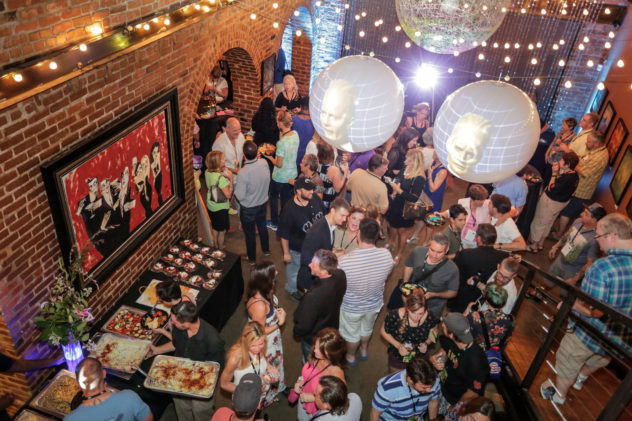 This community of accomplished artists and creatives have created a tightly woven fabric in Macon, and if you are lucky and have an ounce of goodness in you, then they will welcome you in and allow you to experience first hand, the vibrant family which they have built in this charming pocket of Georgia. As a special thanks we put together a little love note to Macon. Hopefully it will help other people discover this little town full of of heart, character and history.